Floral patterns are in, in a BIG way. Literally. The over-sized flower power trend has been taking over runways during fashion month, from New York and Milan to Paris and London. Floral patterns for spring follows suit with the '70s trends that are popping up, too. All of which is to say that this spring, be prepared for an ultra-mod vibe with lots of white, fringe, gingham, and, yes, floral patterns. My favorite oversized floral looks came straight off the runways of Chloe, Thom Brown, Michael Kors, Marni, and, of course, Chanel. They are all on the already crowded floral bandwagon. I just hope they make room for the rest of us, because the fun and feminine look can be pulled off by just about anyone. Incorporating florals into your wardrobe can be a big play or a small adjustment to your look. Some shows featured floral jumpsuits, while others incorporated the trend in a smaller way with accessories like head pieces. Some looks played up the femininity, while others put a masculine twist with blazers and tailored crop trousers. Want to see the inspired trend? 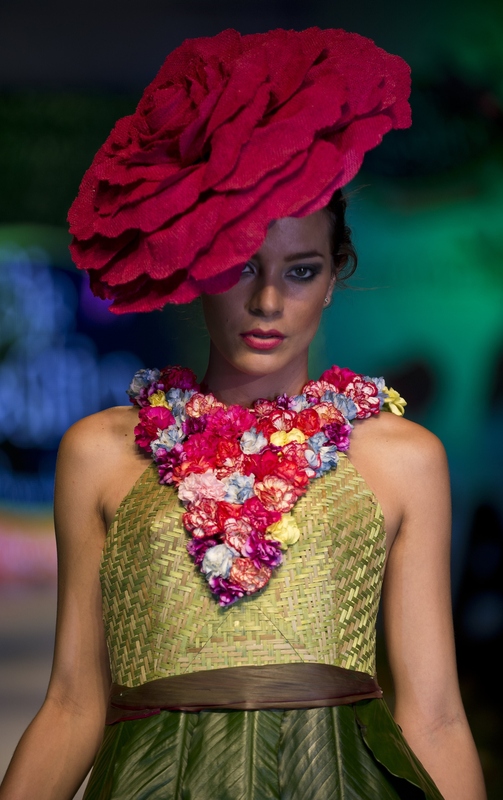 Below are some of the boldest florals appearing on the latest fashion runways. Get some ideas from 9 of my favorite big floral looks.